Established in 1906, Pace University has produced thinking professionals by providing high-quality education for the professions with a firm base in liberal learning amid the advantages of the New York Metropolitan Area. Pace Institute began its transformation after World War II into a modern university with an emphasis on the liberal arts and sciences. With dynamic leadership and fiscally sound management, Pace is a University whose resources have played an essential role in the realization of individual dreams of achievement, and whose mission is voiced in the motto: Opportunitas. After years of printing and mailing donor books, Pace University wanted to highlight and thank donors for their generosity in a new and interactive way. After seeing our work and a few initial conversations, they knew eCity was the interactive partner that could bring their campaign stories and numbers to life in interesting ways. eCity conducted multiple interviews with Pace University stakeholders and reviewed the existing printed Honor Roll editions. We paired what we learned from the interviews with our expertise in higher education and donor relation websites, and established a project scope with Pace University that included a donor display strategy as well as creating a level of interactivity that took advantage of the relatively limited donor information available. The site featured a video from the school’s administration, engaging donor stories, and a database that allows users to browse through donors by name, giving level, and other categories. 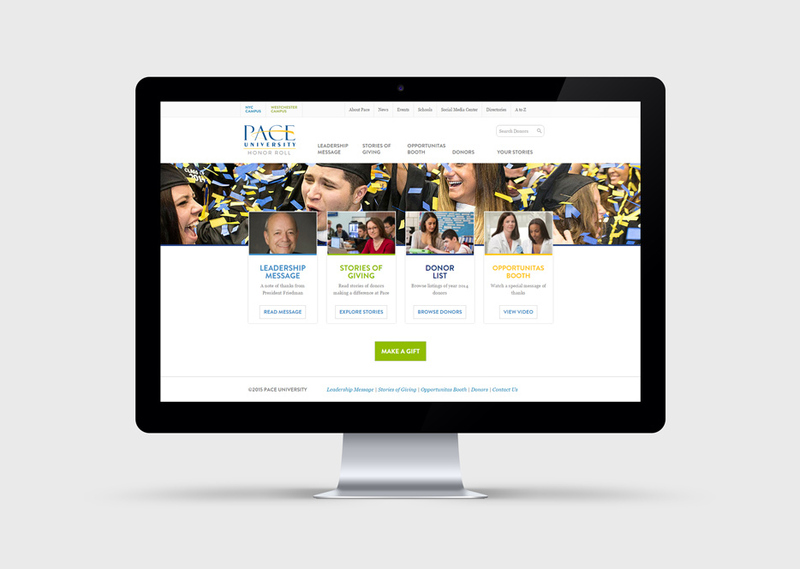 With its new site in place, Pace can now express its gratitude in new ways that were previously impossible. 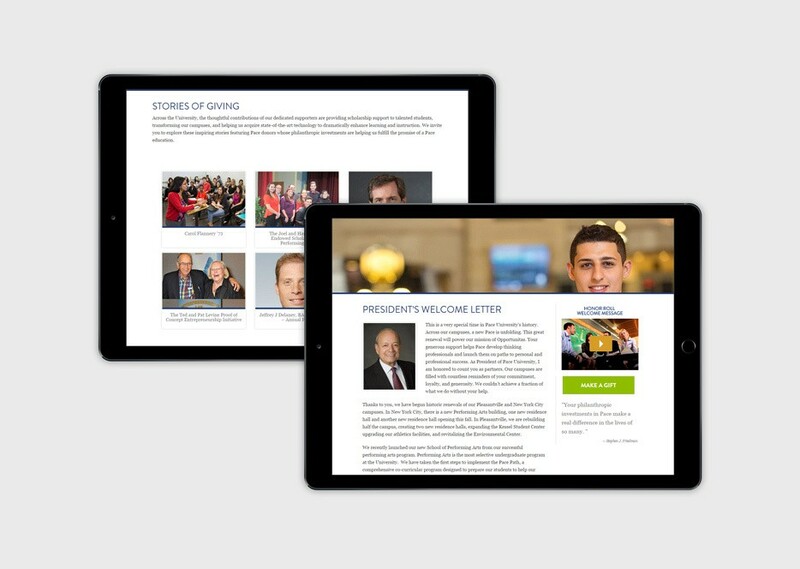 The initial site was met with such positive reviews, eCity has recently completed the second iteration of the Pace University Honor Roll website.